Tempered glass screen protector plays a guard role to protect your phone in case of shattering and shock. 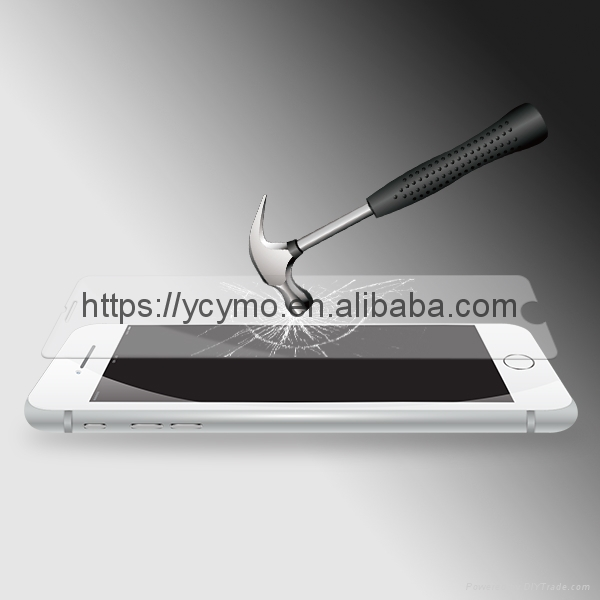 For any cases of scratching and falling down the tempered glass screen film itself might get broken but the mobile phone's screen will be protected well. For those serious shattering, the protector itself might crack into small pieces without splattered fragments so that it would not hurt you. This kind of mobile protective film is made against daily use, scratches, dust and fingerprint smudges which it provides premium edge-to-edge protection and does not interfere with the sensitivity of your touchscreen. Protect your beloved phone; protect yourself. 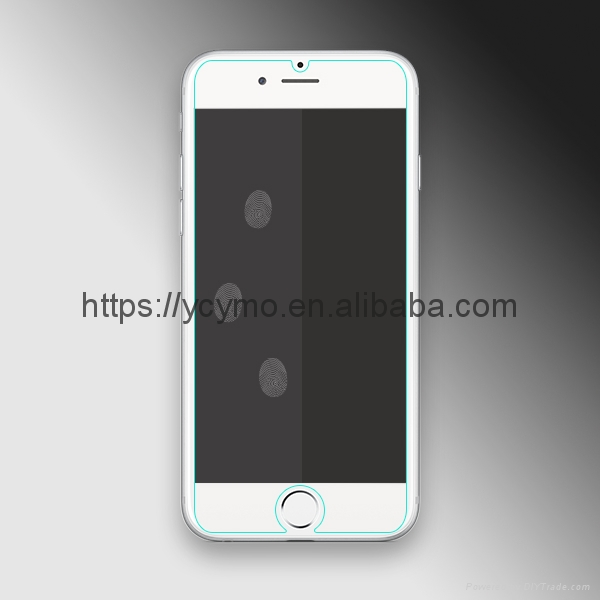 1, Supper Thin: from 0.15mm, 0.2mm, 0.26mm and 0.33mm thickness for your choice which it is real "bare phone". 2, Most Thoughtful Cutout: Fit your home button perfectly. 3, High Definition Transparency: 99% highest clear which there is barely different seeing from screen or protector. 4, High Sensitive Response: Super thin film, not affect your using. 5, Anti-Scratch&Anti-Shatter: 9H hardness with fully 4-hour tempering, 5-layer structure. 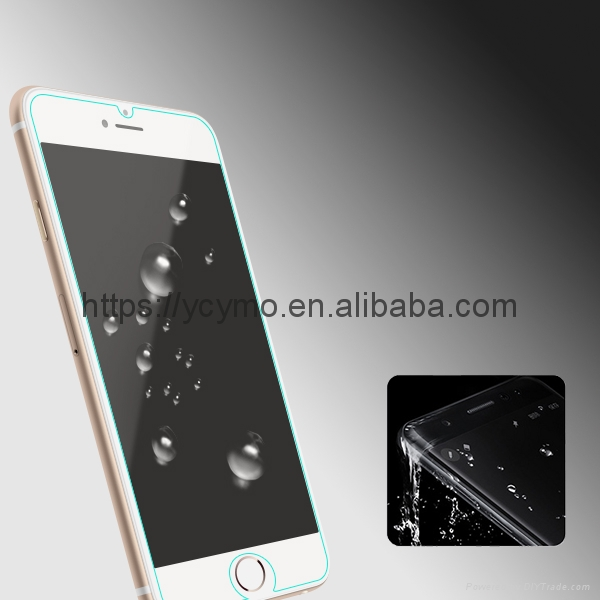 6, Anti-Fingerprint: Oleophobic coating, easy to clear fingerprint and smudges. 7, Easy Installation: Electrostatic absorption, automatically aligning. 8, Bubble Free: Fit closely, no bubble makes your touch more responsive. A: What is tempered glass screen protector? Tempered glass is one of two kinds of safety glass which it is four to five times stronger than standard glass and does not break into sharp shards when it fails. It is manufactured through a process of extreme heating and rapid cooling, making it harder than normal glass. The brittle nature of tempered glass causes it to shatter into small oval-shaped pebbles when broken which eliminates the danger of shape edges. Due to this property, along with its strength, tempered glass is often referred to as safety glass. Then tempered glass screen protector appear and become one of the most popular mobile protective film nowadays. B: What is the ifference between PET screen protector and tempered glass screen protector? C: What's tempered glass screen protector 2.5D and 3D technology? 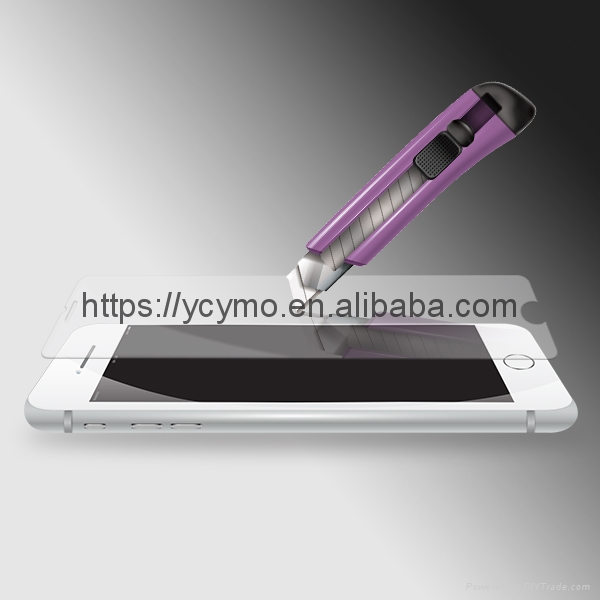 2.5D half coverage screen protector: Glass is not easy to do edge polishing so the CNC machine and innovative cutting technology are necessary to grind the exquisite arc 2.5 edge to fit the phone’s edge fully. 3D full coverage screen protector: It is a tempered glass screen protector with PET soft sides around so that the film can align the screen edge perfectly without any gaps. You are entitled to have products relaced if they are fail to be of acceptable quality. You are suppored with professional and efficient products and after-sales service by us. Being long-sighted and believing in “contract spirit”, we insist on creating value for clients and never disclose their information. Being late here, but we are never too late to be your reliable partner in future. Ying Pengtong commits to making considerate and premium protection for your mobile device. Being faithful in industry, our product has won a good reputaion and recognition for many years. We cares what you care even more than what you care. Try us! Your mobile phone protective expert in China.